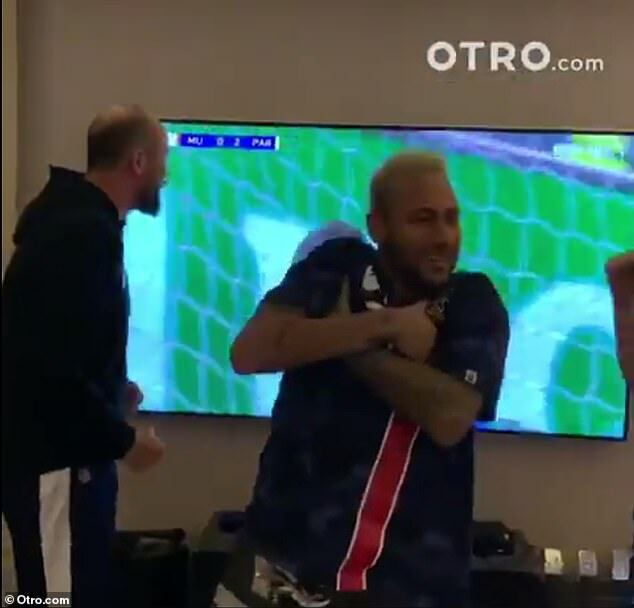 Neymar may be on the sidelines with a foot injury but he did not let that get in the way of him celebrating Paris Saint-Germain‘s goals against Manchester United in the Champions League on Tuesday night. The Brazil star injured his metatarsal in the French Cup win over Strasbourg last month, ruling him out of the last-16 clash at Old Trafford. 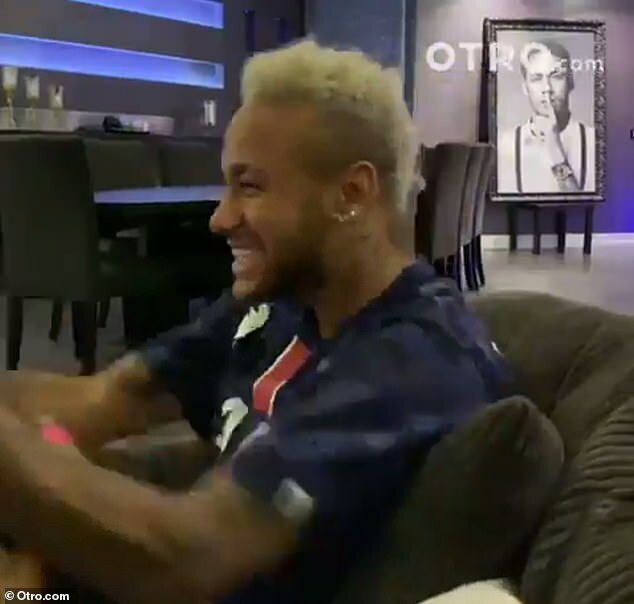 Footage obtained by ‘digital fan club’ OTRO shows the 27-year-old supporting his team-mates from Paris. 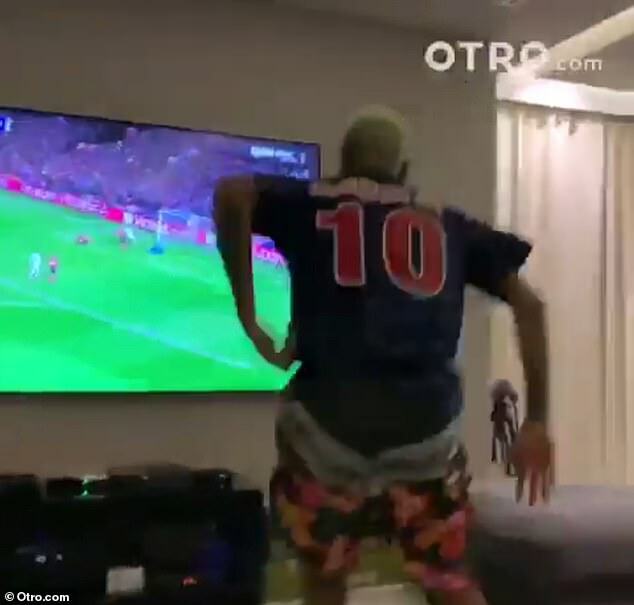 Presnel Kimpembe opened the scoring in the 53rd minute and Neymar can be seen leaping up from the sofa in celebration. Wearing a PSG shirt with his name and number on the back, the forward manages to keep his injured leg on the sofa as he goes wild for the opener. Neymar can also be seen receiving some treatment on his injured foot as he watches the match. He could not contain his excitement when Kylian Mbappe doubled PSG’s lead seven minutes later. 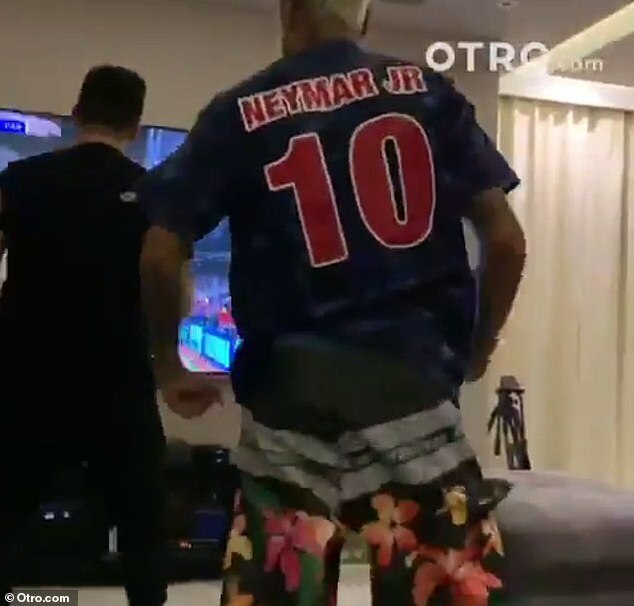 Neymar leaps up off the sofa, jumps around the room while remembering to try to protect his injured right foot and embraces his friends. He then pulls out Mbappe’s trademark celebration by crossing his arms. Neymar is set to be sidelined for 10 weeks and so will miss Manchester United’s visit to the Parc des Princes on March 6.